So exciting when a new place opens up within a short drive from the office!! 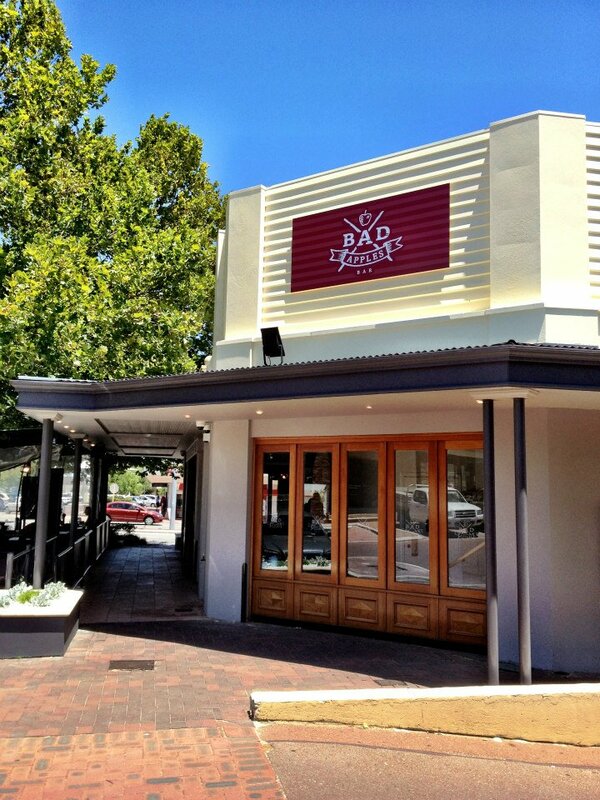 And such was the case last week when I heard that Bad Apples Bar had opened up on Riesley Street in Ardross 🙂 And I just couldn’t wait to visit when I saw their first facebook pics pop up and included some of their food. Big chunky chips, meatballs, pizzas…. and I think as soon as I spied the pizza I got it in my head that I needed to visit Bad Apples as soon as possible to try it out! It was a larger space that I had expected and it was lovely and open and really worked well with the summery weather, with the choice of shaded outdoor dining or varied seatings options inside. I took a menu from the friendly fellow behind the bar and found myself a seat. Fortunately no dramas finding a spare chair on this Wednesday lunch time. They have done a great job with the fit out. 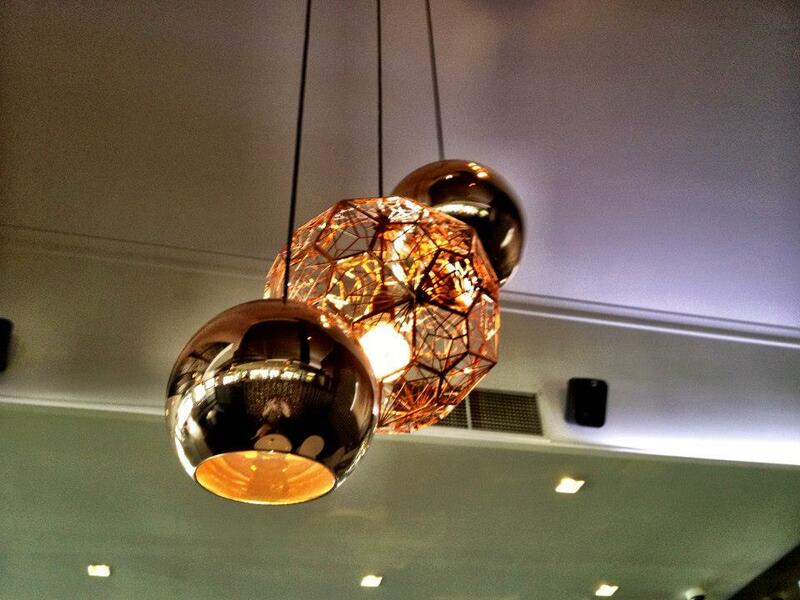 Very cool indeed and I particulary liked the modern lighting fixtures. My next challenge was to get myself a drink. I had to learn the system. 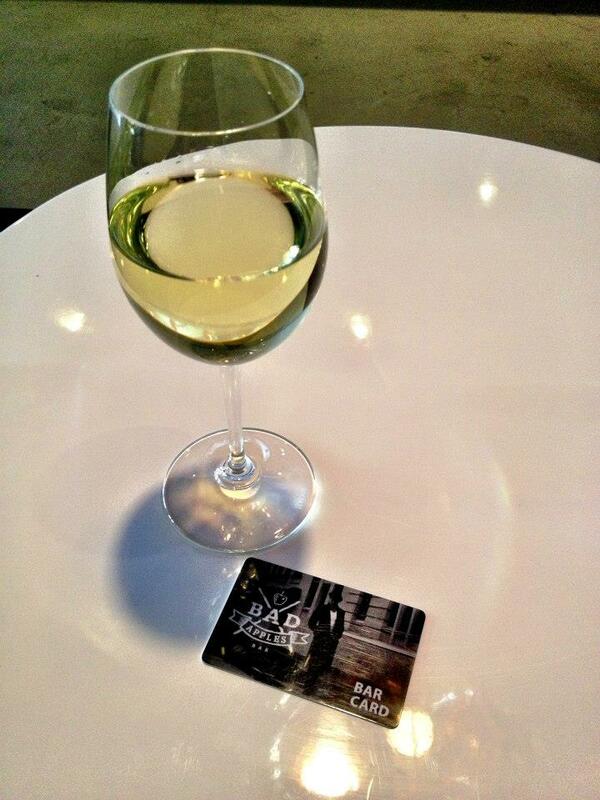 To order wine you need to get yourself a special card. Essentially a tab card. 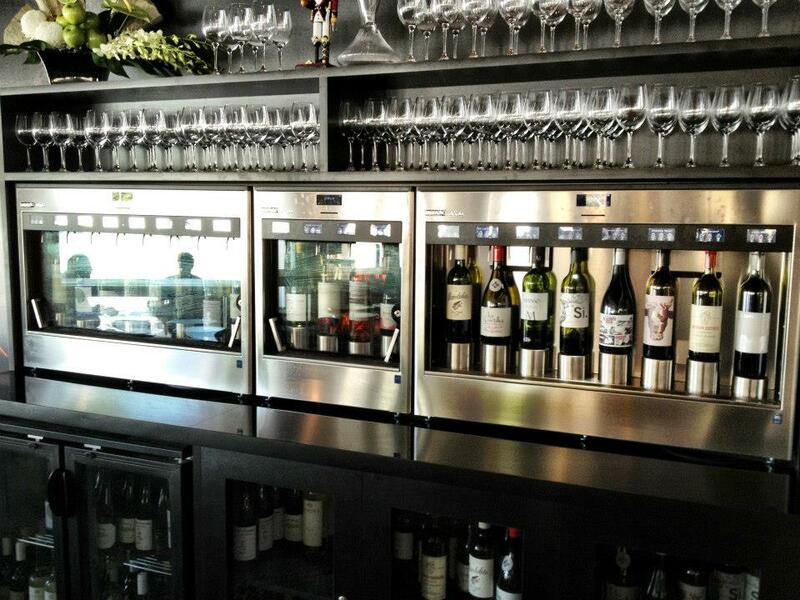 You hand over your credit card and then take it on over to the very fancy machine they have, displaying all the wines they have on offer. And it’s a decent range. You then insert your card into the designated slot and for your vino of choice can then choose between a taste, half glass or a full glass. 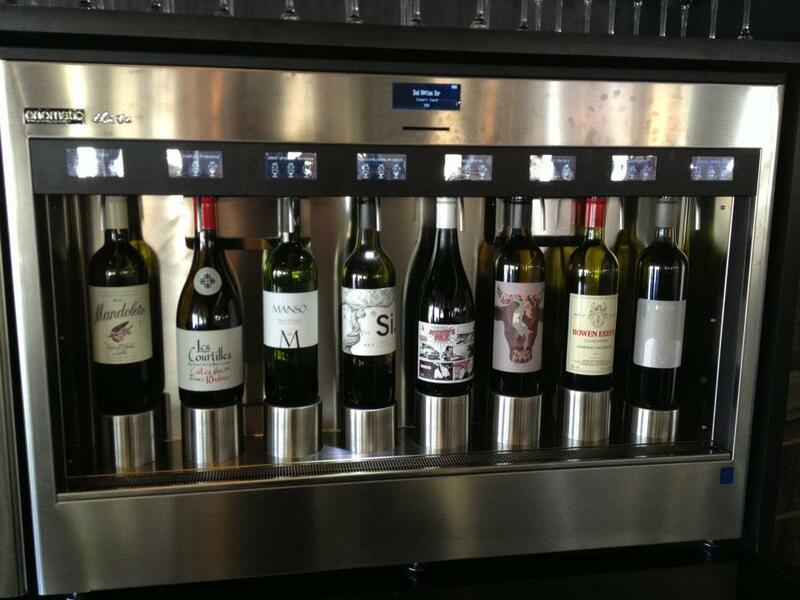 Once you’ve made your selection you simply press a button, hold your glass under the stainless steel nozzle and you get your wine. 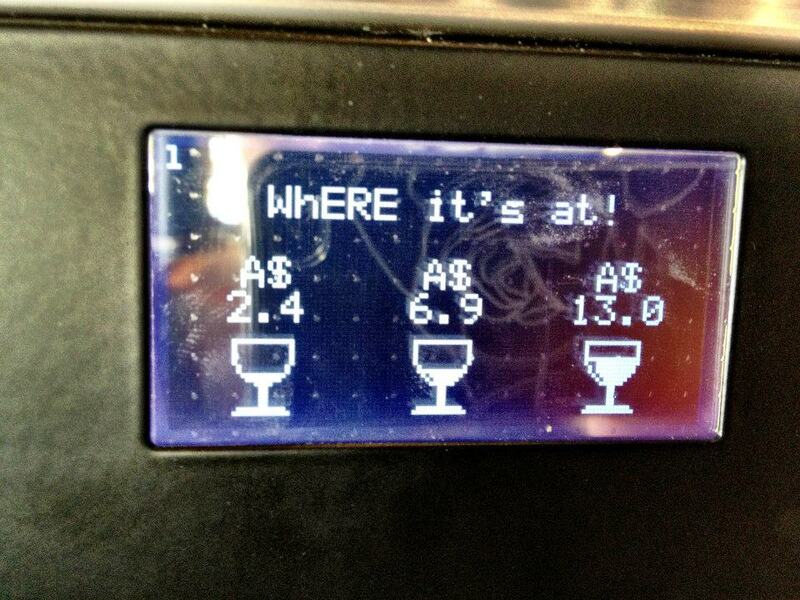 It is very novel and means you don’t have to wait at the bar for a drink. You just settle your bill when you are all done. So I sipped on my wine, while I looked through the food menu. Special mention has to go to the super cool water bottles they have! 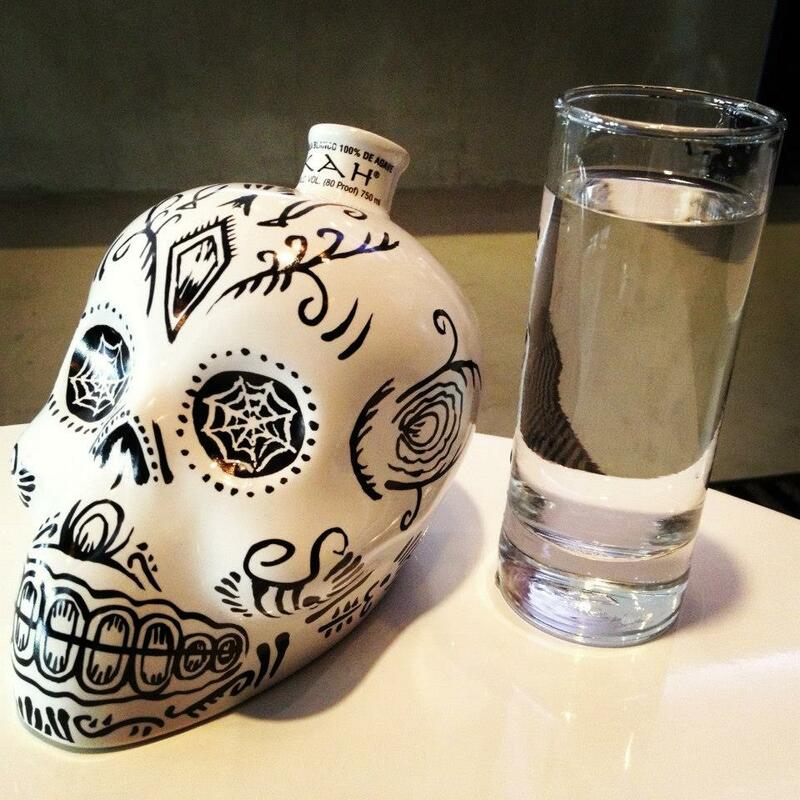 Something very cool about such an ornate skull as a water rescepticle. I had pizza on my mind but I’ll admit the Share Food Menu sounded very enticing. From scallop carpaccio to tuna sashimi….Ooooo or king prawns or pork belly. There were a lot of things I wanted to try. 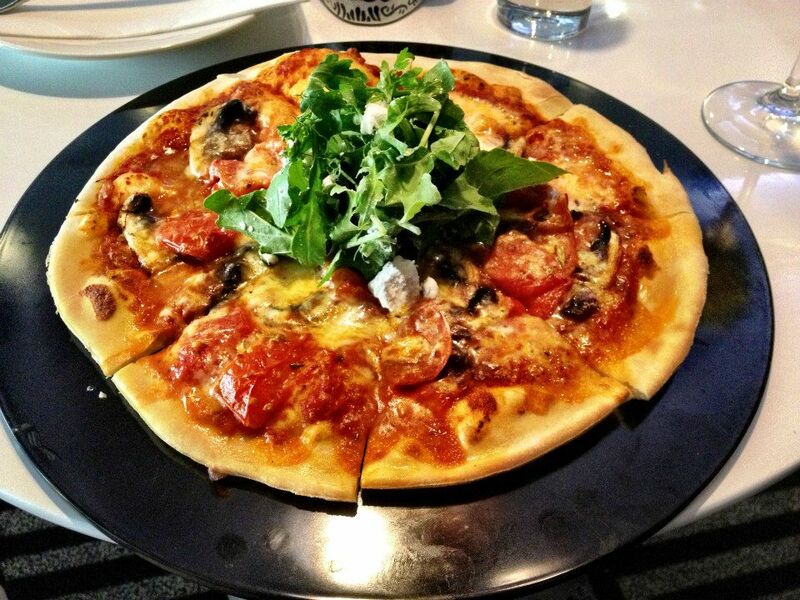 But I decided I’d stick with pizza and narrowed it down to either Roma tomato, wild mushroom, goats cheese with roquette ($20) or Chorizo, olive, basil with crumbled fetta ($22). As I went to place my order, which could also be charged to my tab card, I asked the barman which of those pizzas he would go for? He said he’d recently had the tomato one and enjoyed so I decided I’d go with that one. Twas quite nice to have a few moments before it arrived to sit back and enjoy the new decor. Also very encouraging to see how many folks seemed to be sticking their head in for a sticky beek at this new kid on the block. Looked to be a very popular addition and the crowds definitely grew as I sat there. The roma tomatoes were beautifully sweet and the base was wonderfully crispy. It wasn’t overly cheesy, which was a plus. And it was refreshing to have the roquette and goats cheese to finish with. 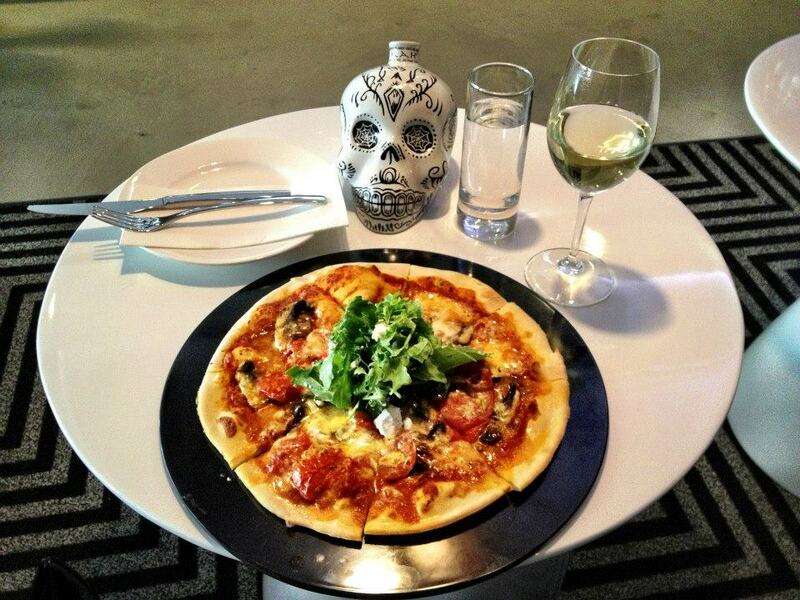 It was a nice lunch – pizza and a glass of wine. 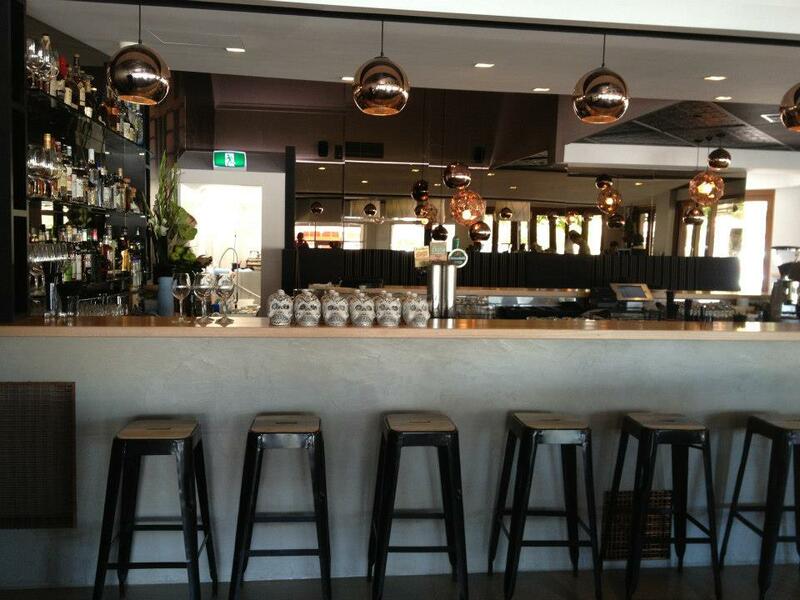 A nice relaxing vibe at lunch time and friendly and attentive staff. I could well get very used to doing this on a regular occasion.